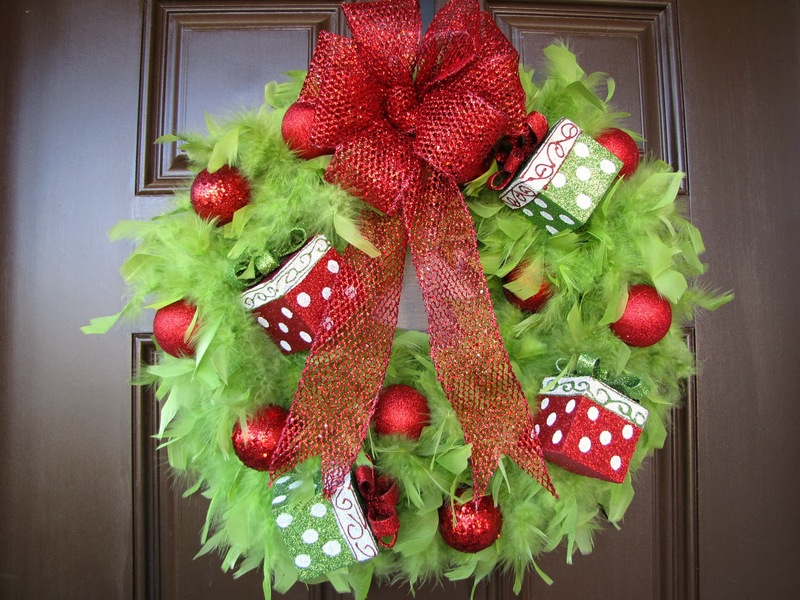 Are you still looking for some last minute decoration ideas for this year’s Christmas holiday? 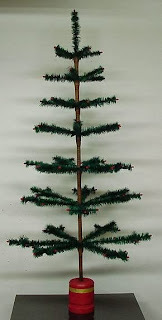 Maybe one of our Christmas feather decorations is just what you are looking for. 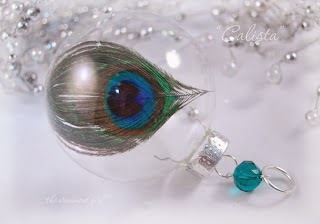 Here are our three posts on D.I.Y feather Christmas decorations. Order what you need today and you can have by the holiday! 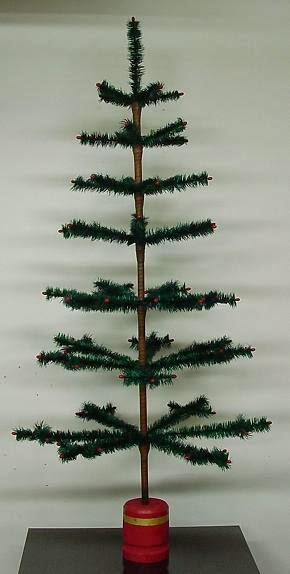 Hey every one, have you gotten all of your Christmas shopping done yet? No! well no worries because I bet no one has yet. I would guess that even the people who think they got it all done already will need to pick up a thing or two before the holiday gets here. Last year I wrote a post about feather stocking stuffers and this is just a continuation of it. First off are these great feather headbands. 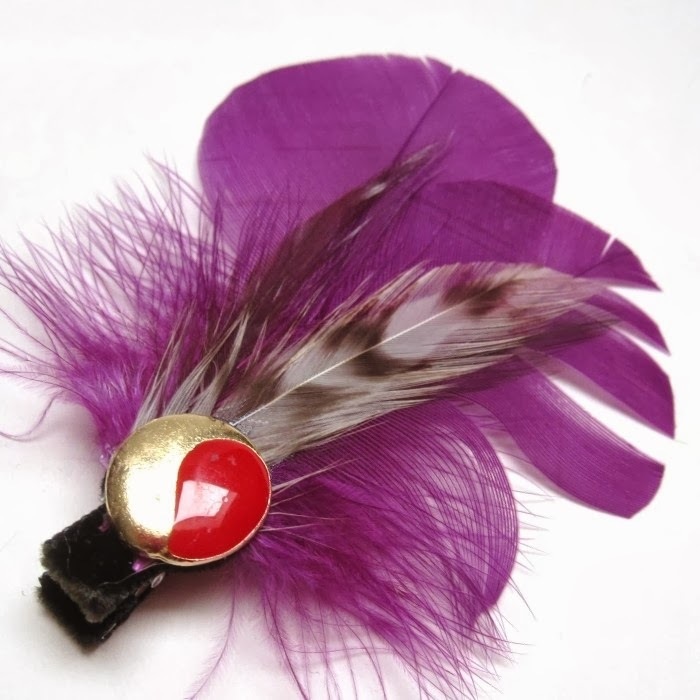 Then you have the other great option of feather hair clips these are also available from mimiboutique.com. And of course we have a post on how to make those as well. How To Make AFeather Hair Clip – Fast, Easy & Cheap! And last up for this year’s feather stocking stuffers, feather leg warmers. So here are some ways people have used feathers to dress up as the man himself. Honestly though, I really wanted to find a men’s Santa costume that had feathers in it but I couldn’t. 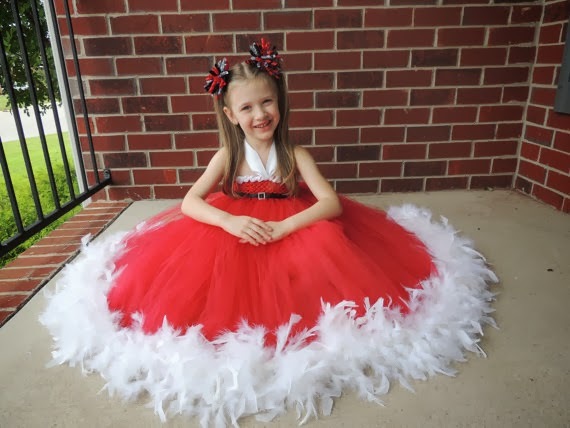 First is this adorable feather hemmed dress for little girls. Then we have the feather Santa costumes for the big girls. Never mind the tubby old Santa, take a look at these sizzling hot Santa outfits. I know you want to see your woman in one of these this year for Christmas. Of course all you really need is a red dress and you can attach a white feather trim yourself.